Genesis Metals is a Resource Opportunities sponsor company. Chibougamau is Cree for “gathering place” and the First Nations hamlet in northern Quebec served as one long before French explorers and traders travelled the area in the 1600s. Gold was discovered in 1903 and mining companies followed. Fast-forward 116 years and Chibougamau is now an important hub for the Quebec government’s Plan Nord, an economic development plan designed to open up the vast north of the province to new opportunities, particularly in mining. The initiative has elevated a jurisdiction that was already recognized as among the most mining-friendly in the world. Genesis Metals’ Chevrier gold project is about 35 kilometres southwest of Chibougamau at the western end of the prolific Abitibi Greenstone Belt, a structure that has produced more than 180 million ounces of gold. Mining operations in the region include Stornoway Diamond Corp.’s Renard mine and the Monster Lake high-grade gold project, a JV between Toma Gold and IAMGOLD. And Genesis continues to gather ounces at Chevrier, in the Abitibi’s Fancamp Deformation Corridor. An updated resource estimate published February 4 shows 423,000 ounces Indicated at 1.22 g/t gold and another 303,000 ounces Inferred at 1.27 g/t gold at the Main Zone and East Zone at Chevrier. Average grades have decreased because Genesis moved to a lower cut-off grade (0.3 g/t in-pit, 0.95 g/t u-g) for the resource update. The resource update establishes Chevrier as a growing open-pittable deposit with higher-grade underground and discovery possibilities, says Genesis chairman and CEO Brian Groves. Great Bear Resources has been a junior mining standout, with a 1-year return of more than 600% on bonanza-grade gold discoveries at its Dixie project in Ontario’s Red Lake district. Paterson has already been key to helping Sundar build out the Genesis team. 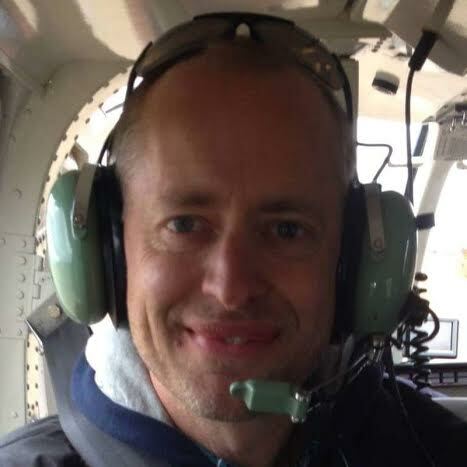 Paterson tapped into his extensive network to attract three experienced operators for the Genesis technical team: geologists Rob Carpenter and Garrett Ainsworth and engineer/financier Andrew Ramcharan. The trio joined the advisory board in November. Each should help unlock further value at Chevrier, including potential new discoveries. 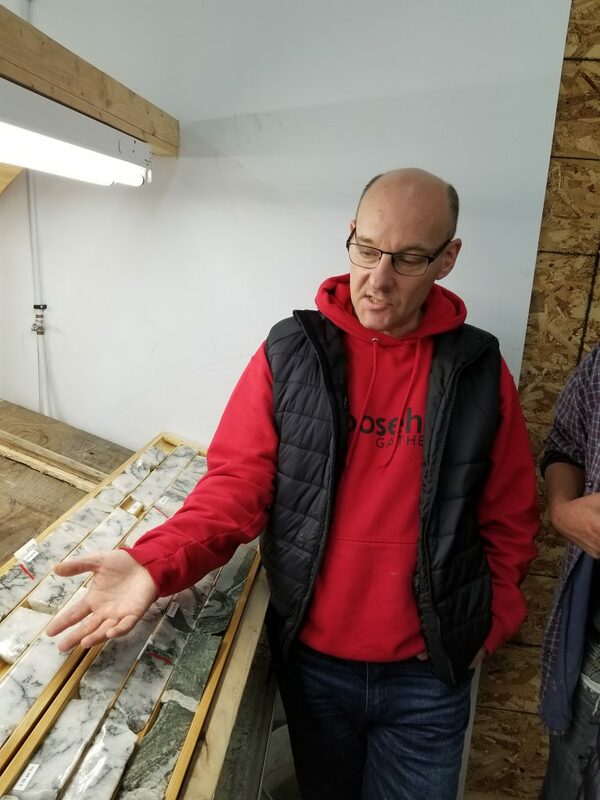 Rob Carpenter, co-founder of Kaminak Gold, checks out Chevrier core. Carpenter is a strategic advisor to Genesis. Carpenter and Ainsworth are familiar names to Canadian mining investors. Carpenter was a co-founder and the former CEO of Kaminak Gold and key to identifying the 5-million-ounce Coffee gold deposit purchased by Goldcorp. Among other ventures he is a director of White Gold, where he is helping legendary Yukon prospector Shawn Ryan explore the White Gold district between Coffee and the Klondike goldfields. As for Ainsworth, the exploration geologist’s greatest accomplishments have been in the western Athabasca Basin. As VP Exploration for Alpha Minerals, Ainsworth discovered the Patterson Lake South uranium deposit now being advanced by Fission Uranium (which bought Alpha). Ainsworth then spent four years at NexGen Energy as VP Exploration and Development, a period that saw NexGen’s shares soar from 30 cents to above $4.00 as it expanded the ultra-high-grade Arrow uranium deposit in Saskatchewan. Andrew Ramcharan, an engineer and graduate of the Colorado School of Mines, was Managing Director of Project Evaluation for debt and equity financings at Sprott Inc. He also worked with IAMGOLD on M&A. Stephen Williams, a metallurgical engineer who is Vice-President of Corporate Development and Investor Relations for Bluestone Resources, has also joined the Genesis board of directors. He previously worked for Canaccord Genuity as a director of the metals and mining investment banking team. Quebec has earned a reputation as one of the world’s best mining jurisdictions. Now, the province’s Plan Nord has opened up Quebec’s vast north, providing linkages to already exceptional infrastructure in Chevrier’s immediate neighbourhood (the Abitibi’s Fancamp Deformation Corridor). The Genesis gold project is near major highways and a rail line, and has a regional road running through it, as well as an airport nearby. The solid infrastructure in a safe jurisdiction tick off two of the main boxes for both investors and potential suitors. Jeff Sundar, the president of Genesis, is younger than most mining execs. But he has been working in the sector long enough to see cycles come and go. Sundar has also experienced M&A success, in both 2010 and 2018. He was a director of Underworld Resources, which was acquired by Kinross for $138 million in July 2010 for its White Gold deposit in west-central Yukon (now owned by White Gold Corp). More recently, Northern Empire Resources — where Sundar was on the board — and its Sterling gold project was acquired by Coeur Mining for $117 million. 19.4 metres of 4.26 g/t Au including 7.8 metres of 8.99 g/t. The program helped Genesis develop a new geological model that laid the foundation for the resource update. Company geologists followed up this past summer with a surface prospecting and mapping program that defined extensions to Main Zone mineralization and identified new target areas. The work was funded by Quebec investment funds that provide assistance to active junior exploration companies in the province. As for the price of gold, Sundar believes the timing could be right. 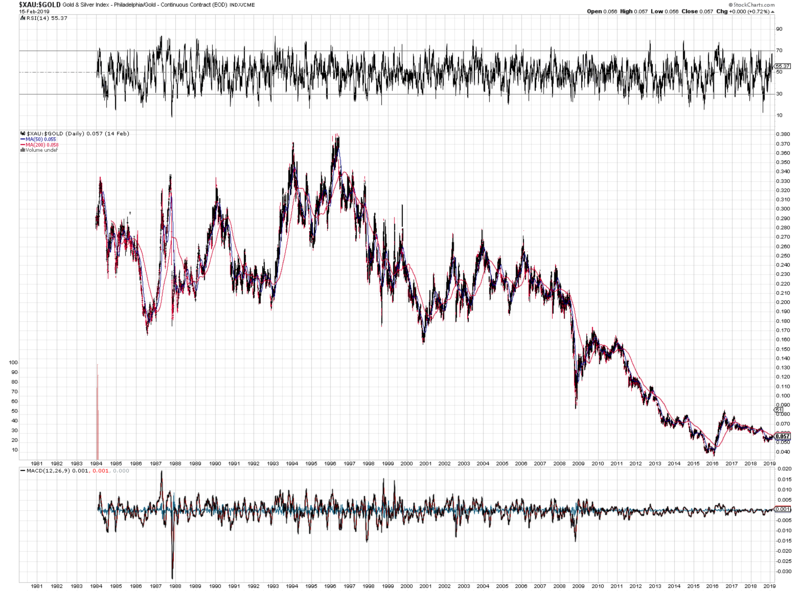 Gold equities have seldom been cheaper relative to the price of gold, he pointed out. Genesis shares sank as low as 6 cents during tax-loss selling season in December. The stock has since rebounded to the 8-cent level, giving Genesis a market capitalization of about $8.15 million. Disclaimer: James Kwantes owns Genesis shares and Genesis Metals is a Resource Opportunities sponsor company. Readers are advised that this article is solely for information purposes. Readers are encouraged to conduct their own research and due diligence, and/or obtain professional advice. The information is based on sources which the publisher believes to be reliable, but is not guaranteed to be accurate, and does not purport to be a complete statement or summary of the available data. Fortunes are made, and sometimes lost, in the great mining rushes that drive people, prospectors and dollars on the heels of exciting discoveries. One of the greatest was the Klondike Gold Rush of 1896-1899, kicked off by the August 1896 discovery of gold at Bonanza Creek by Skookum Jim, Dawson Charlie, George Carmack and Kate Carmack. Almost a year after the discovery, the SS Portland steamship arrived in Seattle. 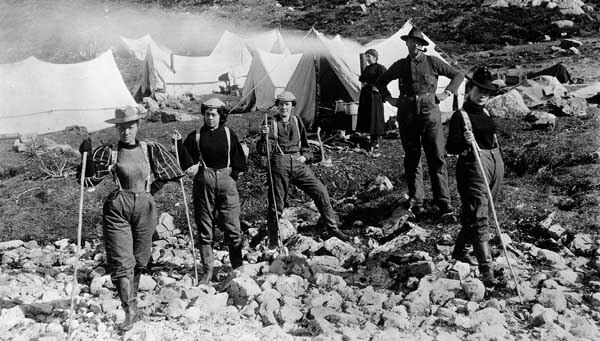 Among its passengers were several of the most successful Yukon prospectors. Its cargo included more than one tonne of gold. Two days earlier, another gold-laden ship had landed in San Francisco. In Seattle, a crowd of thousands greeted the Portland. The Seattle Post-Intelligencer newspaper screamed “Gold! Gold! Gold! Gold!” in a banner headline. The race was on. Treasure hunters came by the tens of thousands. But they soon discovered that the prime land around gold-rich creeks had already been staked by prospectors in the Yukon. For some who got in early, it was a ticket to riches. Fast-forward 120 years and another gold rush is taking shape in the mineral-rich Yukon. This one is being led by major gold mining companies, who are systematically buying up stakes in exploration companies in a jurisdiction the Fraser Institute describes as one of the best in the world. Goldcorp (G-T) kicked off the new gold rush in May 2016 with its $520-million purchase of Kaminak Gold and the multi-million-ounce Coffee deposit in the hot Dawson Range gold belt. In the original Gold Rush, those who arrived early — before the crowd — were most likely to secure their fortunes. It’s no less true today. In the hunt for geological riches, “location, location, location” is key for majors in search of the next big gold district. Public companies that can secure valuable land positions — and investors who get in early — will be the biggest winners. The latest major to enter the Yukon is Barrick Gold (ABX-T), the world’s largest gold miner. In an option deal announced April 10, Barrick will invest up to a total of $63.3 million in ATAC Resources (ATC-V) for a staged buy-in that will give the miner up to a 70% interest in ATAC’s Orion project. The deal includes a flow-through private placement financing of $8.3 million that takes Barrick’s stake in ATAC to 19.9%. It’s a good deal made even better because the Orion project does not include ATAC’s major discoveries — Tiger, Conrad and Osiris. Given Barrick’s history, the partnership with ATAC is a natural. In 1986, Barrick acquired the small Goldstrike mine in Nevada’s Carlin trend. Barrick soon hit a rich discovery and Goldstrike turned into a company maker, delivering enormous profits and 50 million ounces of gold production (and counting) to Barrick. ATAC has North America’s only known Carlin-type gold mineralization outside Nevada at its vast Rackla project in Yukon. 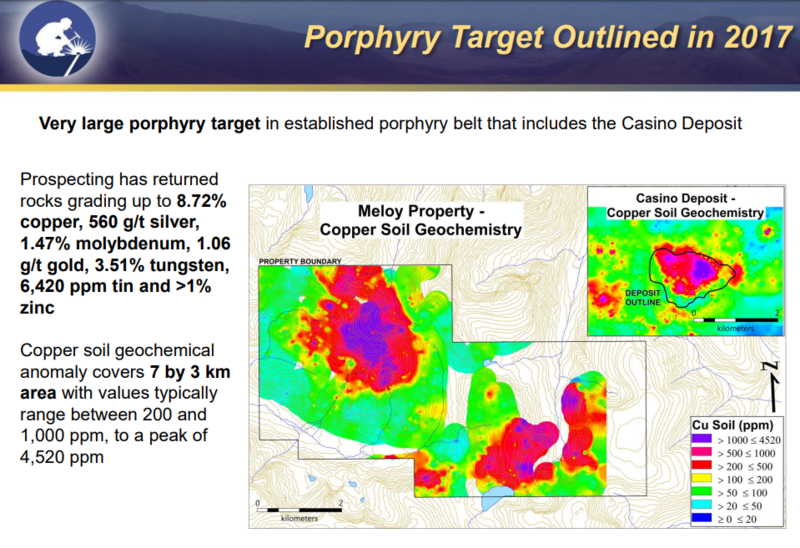 And it was ATAC’s 2011 discovery of Carlin-type gold at Rackla that sent the company’s stock above $9 that year. As the largest claims holder in the Yukon, no company is better poised to benefit from the majors’ renewed Yukon interest than project generator Strategic Metals (SMD-V). Strategic holds valuable land positions in each of Yukon’s major mineral belts, assembled over decades using the proprietary database of storied geological consultancy Archer, Cathro & Associates. 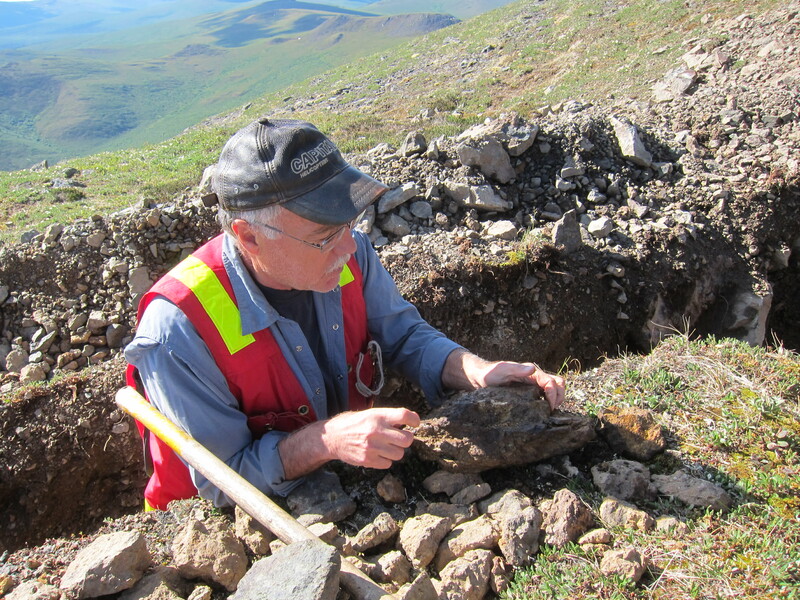 Archer Cathro has had a hand in most of the Yukon’s major mineral discoveries and deposits. In each of the recent investments by majors, Strategic had already staked claims and was positioned in the neighbourhood. The growing list of majors that have stepped up to secure their Yukon stakes is a who’s who of gold miners. Their investments validate Strategic’s early-mover philosophy. The Barrick-ATAC deal was just the latest example. Strategic owns more than 10.1 million shares of ATAC Resources, an 8.3% stake that has increased in value more than 50% since the JV deal was announced. Strategic also has several claims and large land positions adjacent to much of ATAC’s Rackla project in Yukon’s Nadaleen Trend. Of any of the investments by majors, Newmont’s deal with Yukon junior Goldstrike Resources (GSR-V) may have been the most surprising. The agreement, announced March 6, includes a private placement and could see Newmont invest up to $53 million for a majority stake in Goldstrike’s Plateau gold project in the east-central Yukon. It was another case of Strategic beating the majors to a potential district — the project generator had already staked ground in the prospective area. And on April 6 Strategic announced that it had added to its land position near Plateau through staking. Goldcorp and Coffee — yes, Strategic was already there. It was Strategic CEO Doug Eaton who staked the Dan Man property, which borders Coffee’s northern boundary and is owned by Arcus Development Group (ADG-V). The Coffee gold mineralization extends right to the Dan Man property boundary and Goldcorp followed up its purchase of Coffee by buying a 19.9% stake in Arcus. Strategic owns 3,333,333 Arcus shares, a 4.5% stake in the company. Arcus is planning a 2017 drill program at Dan Man, with technical help from Goldcorp. But the Strategic Metals holding with potentially the most upside remains under the radar, its worth yet to be determined by the market. The company is Trifecta Gold, a new precious metals exploration company that will come out of the gate with four projects in the Yukon’s hot White Gold district. Pending shareholder approval — the vote is this Friday — Trifecta shares will be spun out of Strategic Metals early next month. Strategic shareholders will receive one Trifecta common share for each 4.5 Strategic shares held. Trifecta shares will trade as “TG” on the TSX Venture Exchange. For Trifecta, the last gold play to go public in the prolific district offers a glimpse at the possibilities. It was White Gold Corp (WGO-V), which holds a large land package after purchasing Yukon prospector Shawn Ryan’s White Gold claims. Ryan, of course, helped put the district on the map with discoveries that culminated in buyouts from Kinross (Golden Saddle in 2010) and Goldcorp (Coffee in 2016). He’s also chief technical advisor for the new exploration play. In late 2016, Agnico Eagle paid $14.5 million for a 19.9% stake in the company, valuing White Gold Corp. at $72.5 million. 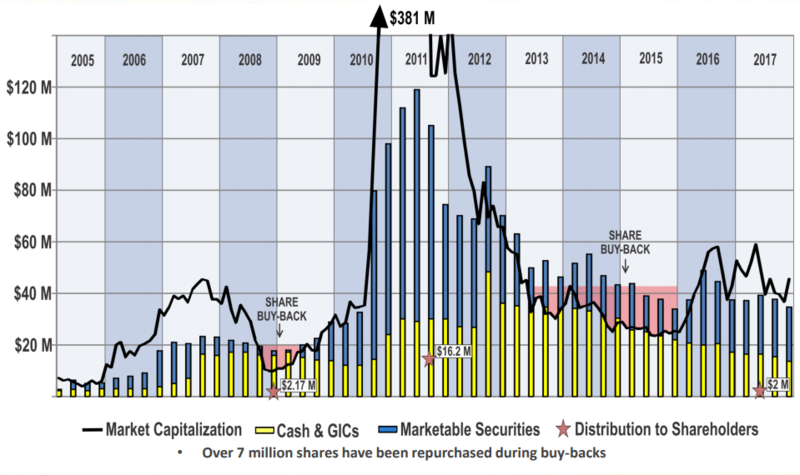 The market capitalization has since surged past $130 million. White Gold’s trajectory is evidence that the Dawson Range belt has become one of the hottest gold exploration districts globally. With gold approaching US$1,300 an ounce and risk capital tentatively returning to the exploration sector, the timing couldn’t be better. The renewal of action and interest bodes well for Trifecta Gold stock, which is expected to begin trading in early May. The share distribution record date is set for April 27. Investors who own Strategic shares before that date are staking their claim to a promising, tightly held exploration play before the stock hits the public market. Strategic will retain about 9.8% of Trifecta shares and distribute the rest to its shareholders. Eureka — Eureka is a 70-sq-km orogenic gold project at the southern end of the Klondike Goldfields. The Eureka claims straddle the headwaters of two of the most productive placer creeks — Eureka and Black Hills — in the southern Klondike. The creeks have spit out a reported 200,000 ounces of placer gold between 1978 and 2016, and the gold’s attributes suggest that it’s near source. Eureka is drill-permitted and exploration will focus on a handful of showings identified by soil geochemistry, trenching and drilling. Eureka is along the proposed haulage route to Goldcorp’s Coffee project and could progress quickly from exploration to development. Triple Crown and Treble — The properties are located halfway between Coffee and Rockhaven’s (RK-V) Klaza, a polymetallic gold deposit. Initial prospecting at Triple Crown yielded a rock sample assaying 6,680 g/t silver, 30.22% lead and 0.80 g/t gold. A follow-up trench there returned 570 g/t silver, 2.76% lead, 0.08 g/t gold over 6.4 metres and 106 g/t silver, 0.84% lead and 0.03 g/t gold over 9.6 metres. There are several geochemical anomalies at Treble; 2011 prospecting at one of them revealed a 100m by 120m zone of brecciated hydrothermal quartz and gold mineralization in rock samples. Trident — The road-accessible Trident property consists of 525 claims, 195 wholly owned by Strategic and 330 optioned from two other companies. At the Squid project, optioned from Metals Creek Resources, limited drilling returned results including 21.0 metres of 1.55 g/t gold and 114 g/t silver and 12.0 metres of 1.7 g/t gold and 81.78 g/t silver. Trifecta’s CEO, Dylan Wallinger, witnessed firsthand the type of shareholder value that discovery can create during the summer of 2010. Working out of Archer Cathro’s Whitehorse office, Wallinger was part of a small field crew at ATAC’s Rau property, where his duties included everything from prospecting to splitting core. The project was not yet a major focus for ATAC. But that changed quickly when assays were returned from one of the cores Wallinger split. It turned out to be the Osiris discovery hole announced on Sept. 1, 2010, which returned 9.26 g/t gold over 31.13 metres within a larger interval averaging 4.65 g/t over 65.20 metres. That discovery, as gold surged toward an eventual peak of US$1,900/oz the following year, was one of the catalysts that fuelled ATAC’s rocket ride in 2010 and 2011. The stock climbed above $8 in 2010 and cracked $9 the following year on excitement about the discovery of a new Carlin-type gold district outside of Nevada. As president and CEO of Trifecta, Wallinger will have the chance to play a more central role in creating shareholder value. The former Archer Cathro project manager has stepped down as a partner with the geological consultancy to focus on Trifecta. Strategic is seeding Trifecta with about $750,000. Depending on the work program, Wallinger knows he’ll have to raise more money. The CEO wants to finance at higher prices than where Trifecta shares start trading. Trident may be Trifecta’s most intriguing project. The road-accessible property hosts an air strip and several roads, as well as gently sloping terrain amenable to a mining operation. There are drill permits in place but Trifecta has applied for more extensive permits. 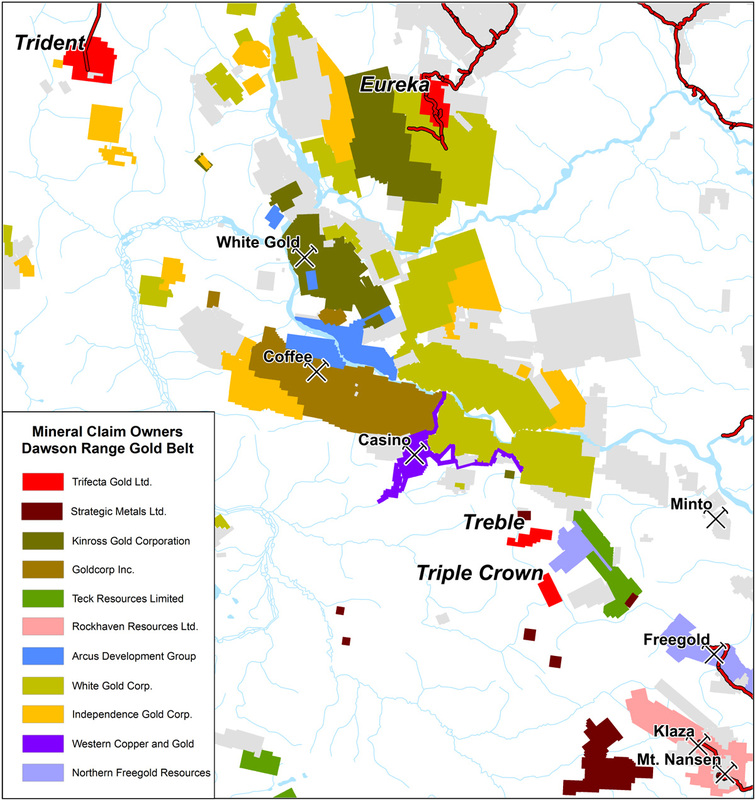 Trident has resource-sharing possibilities — there’s a producing placer mine on the property — but also spending obligations. On the Squid option, Trifecta must spend a minimum of $500,000 in the first year ($2.25 million over three years and issue 6.5 million TG shares) as part of a staged 60% earn-in. Wallinger says Trifecta won’t spend any more than necessary to either prove mineralization at the optioned claims or walk away. If results are positive, the company plans to mobilize more drills, heavy equipment and fuel by road and continue to work into late fall. “The idea is to go in and explore aggressively, and prove it or kill it,” Wallinger says. 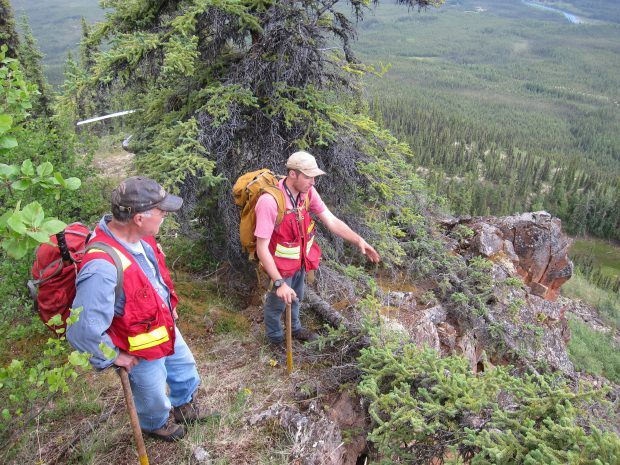 Silver Range Resources (SNG-V) — Strategic owns 15.3% of Silver Range, which owns four zinc-lead-silver projects in Yukon and high-grade gold projects in NWT, Nunavut and Nevada. For some mining-focused investors, one of the knocks on project generators is a structure that prevents them from capturing the full shareholder value driven by discovery. But with the spinout of Trifecta Gold, Strategic is changing the game by surfacing value unrecognized by the market. Shareholders will have exposure to both discovery upside in one of the world’s hottest exploration districts AND the diversification of Strategic’s valuable shareholdings and Yukon claims. The price tag is low — Strategic’s working capital amounts to almost $40 million currently and its market cap is just $50 million. The Yukon is a major focus for Resource Opportunities and subscribers have enjoyed several wins as the best Yukon companies get rerated. Get high-potential junior resource stories first by subscribing to the premium Resource Opportunities newsletter today: Resource Opportunities. The cost is just $299 a year or $449 for two years, well below the price of a single profitable trade. Disclosure: The author owns shares of Strategic Metals, Rockhaven Resources, Silver Range Resources and Arcus Development Group. Strategic Metals is one of three Resource Opportunities sponsors, who help support the subscriber-funded newsletter by keeping subscription prices low. The work included in this article is based on SEDAR filings, current events, interviews, and corporate press releases. It may contain errors, and you shouldn’t make any investment decision based solely on what you read here. This publication contains forward-looking statements, including but not limited to comments regarding predictions and projections. Forward-looking statements address future events and conditions and therefore involve inherent risks and uncertainties. Actual results may differ materially from those currently anticipated in such statements. This publication is provided for informational and entertainment purposes only and is not a recommendation to buy or sell any security. Always thoroughly do your own due diligence and talk to a licensed investment adviser prior to making any investment decisions. Junior resource companies can easily lose 100% of their value, so read company profiles on www.SEDAR.com for important risk disclosures. It’s your money and your responsibility.